Wild Wild West – Tailgate Success! The Wild Wild West came to Arlington in a BIG WAY last Friday night! Community members, teachers, and the AISD Education Foundation gathered together for a night of fun and FUNdraising! AEF Grant Application Deadline is FAST approaching! 2018 Education Celebration was a HIT! You know the evening will be full of childhood excitement when Daffy Duck helps direct the National Anthem sung by the Arlington High School Choir! It was an evening of celebration! The Arlington ISD Education Foundation brought community members together to honor 22 educational grant recipients from Arlington schools. 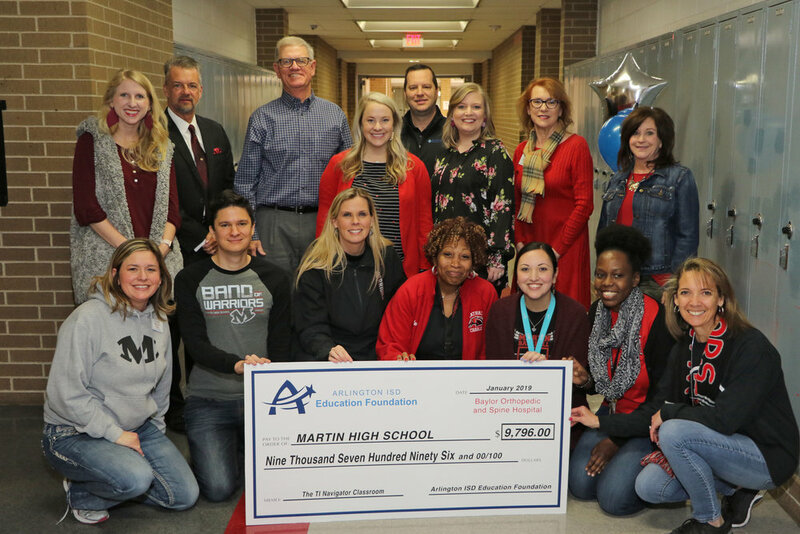 These teachers worked tirelessly submitting grant proposals for much needed funds and programs for their students – and this was their night to shine in recognition! Don’t expect any starving artists to come out of Arlington schools… These students bring in the BIG BUCKS for their artwork! Over $106,000 awarded to AISD teachers! Recently, the AEF went on patrol --- the foundation’s FAVORITE days of the year!